Given a list of genes, identify all the diseases which they are associated with and all the drugs which target these genes. 1. First, start by uploading a list. 2. To answer which diseases are associated with the genes in the list, you can search the template (predefined query) by the keyword ‘disease’. 3. You can find the template ‘Gene(s) –> Disease(s)’ templates. 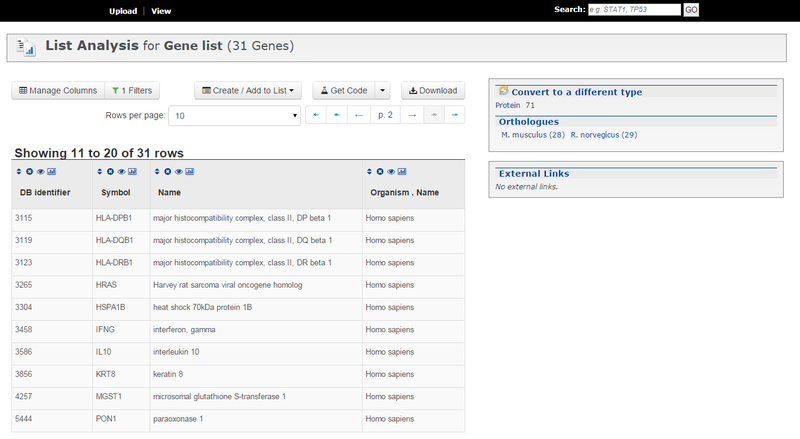 Constrain to the genes in your uploaded list and run the query. Constrain to a gene list for a template query. The query results show those diseases associated with the genes in the list. 4. For compounds which target these genes, you can use the same approach to find the template, ‘Gene(s) –> Compounds’ and run the query.